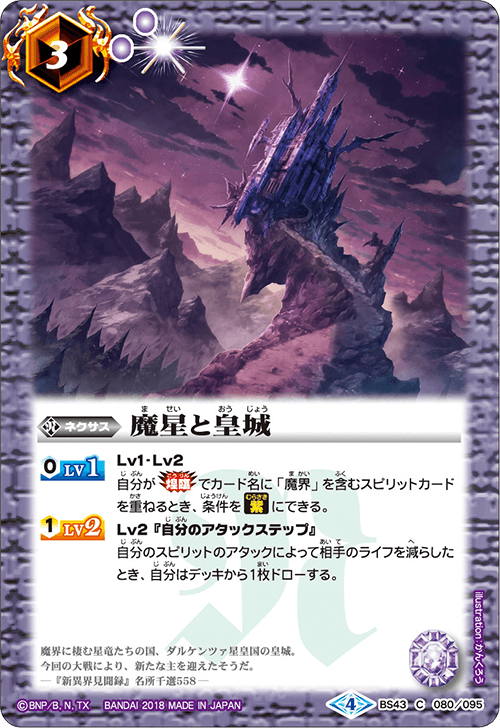 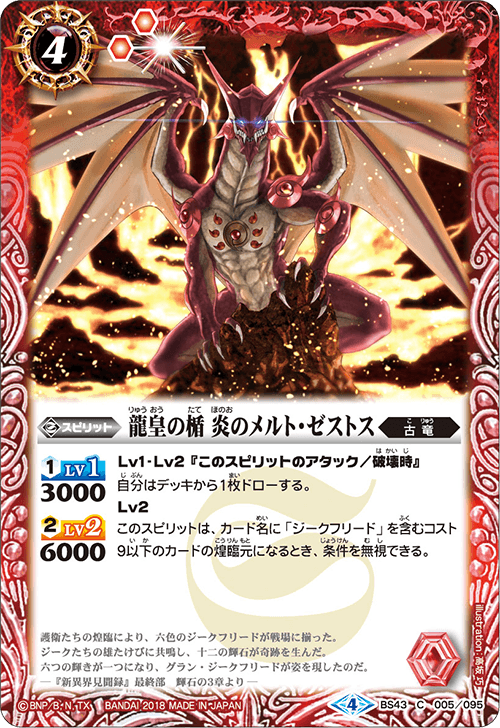 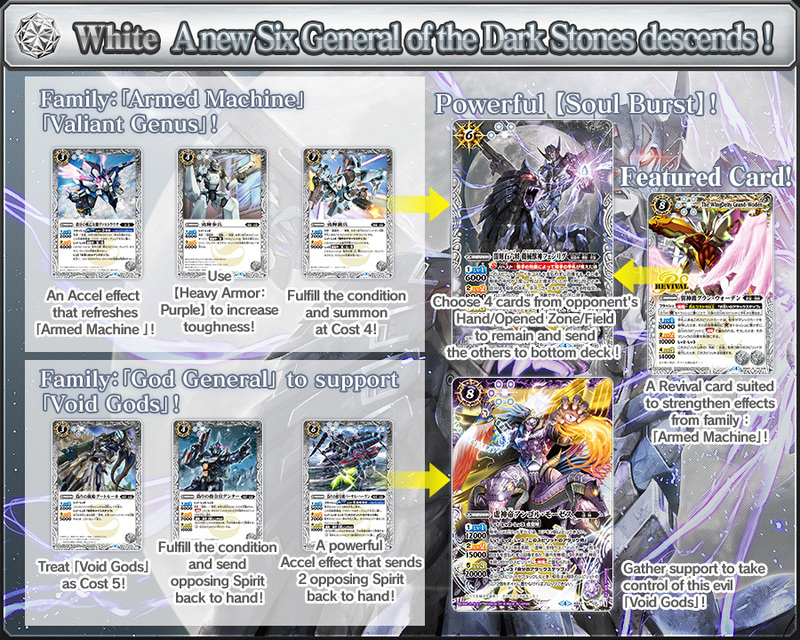 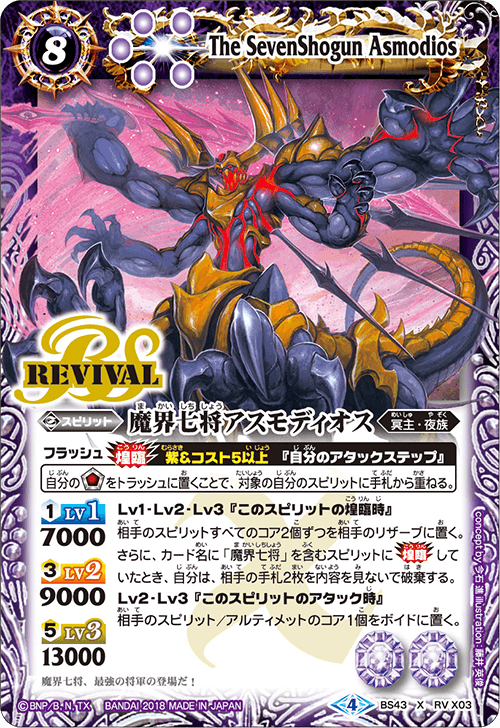 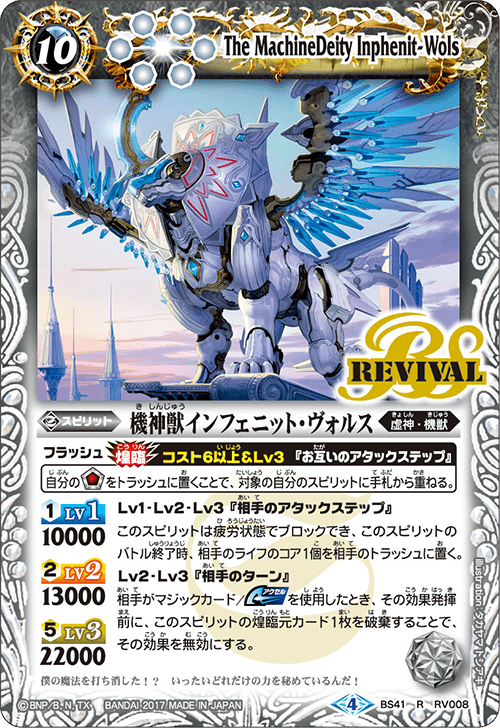 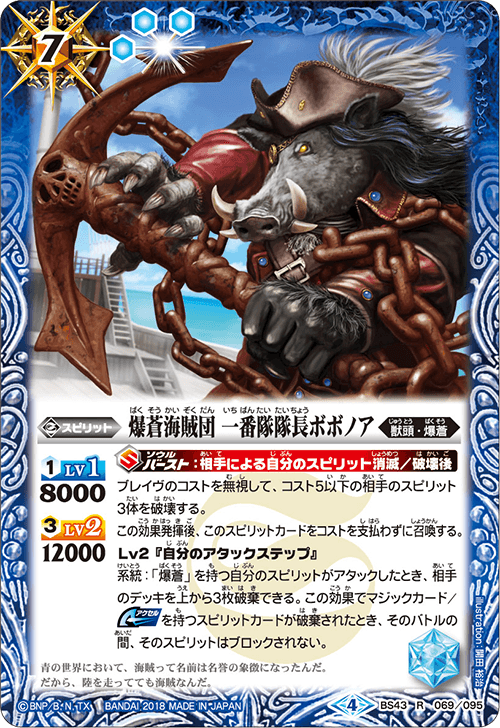 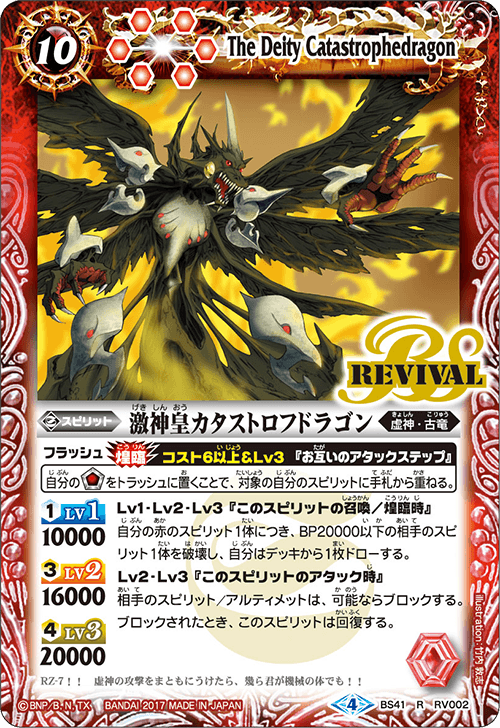 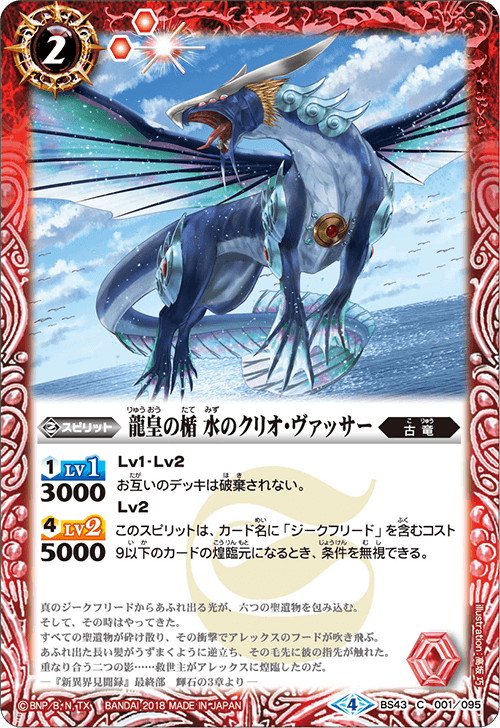 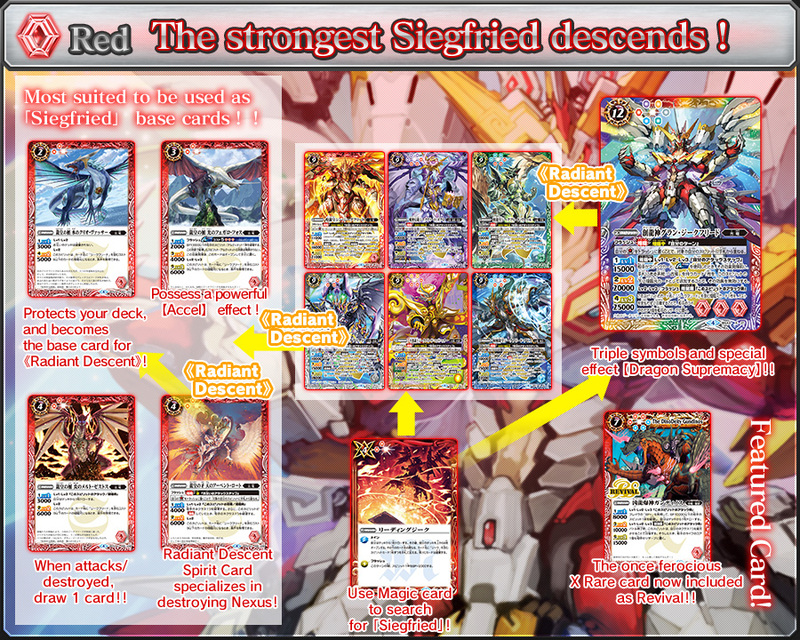 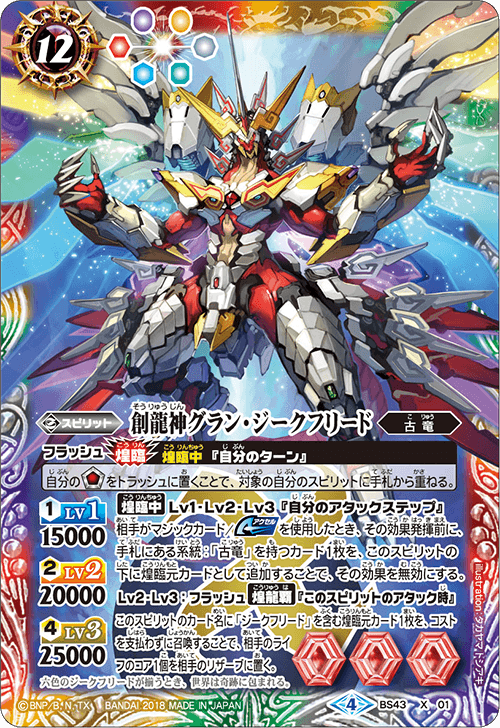 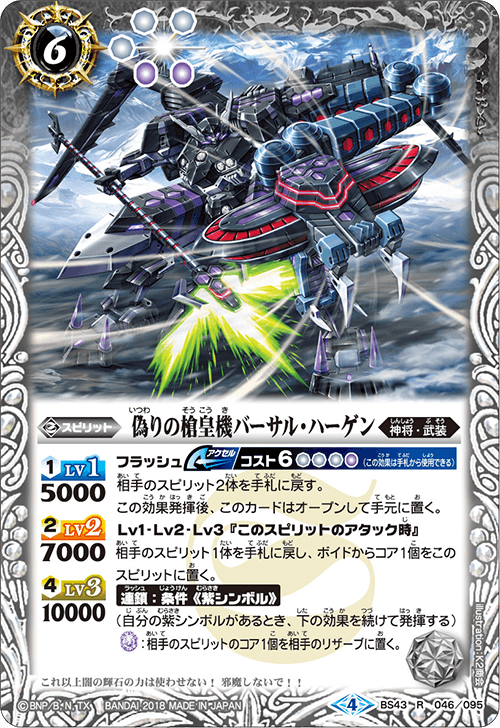 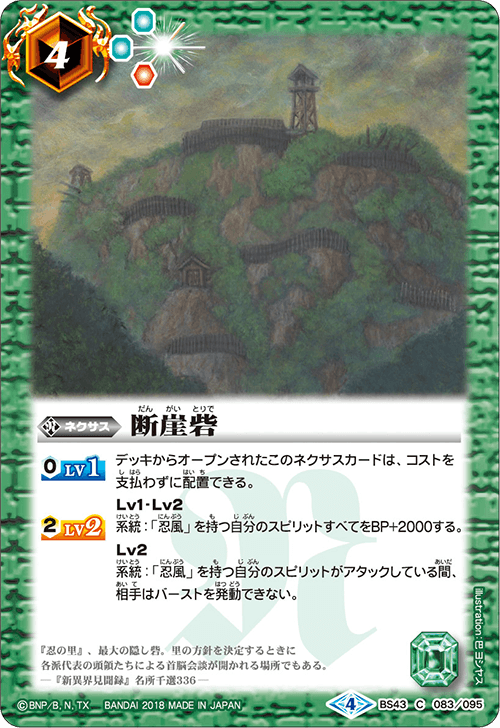 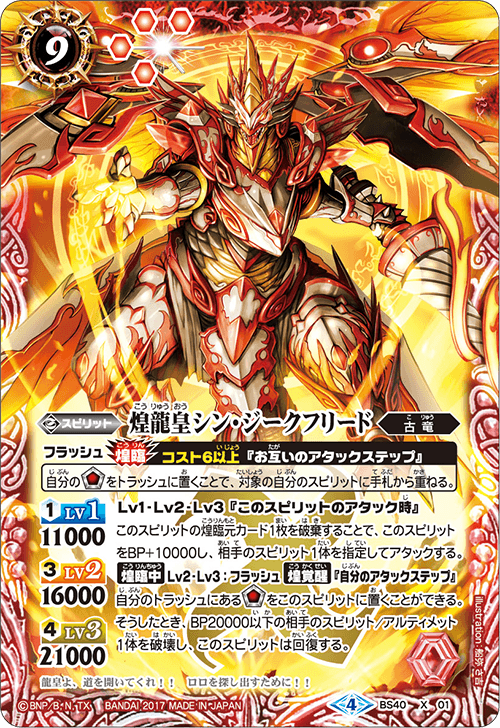 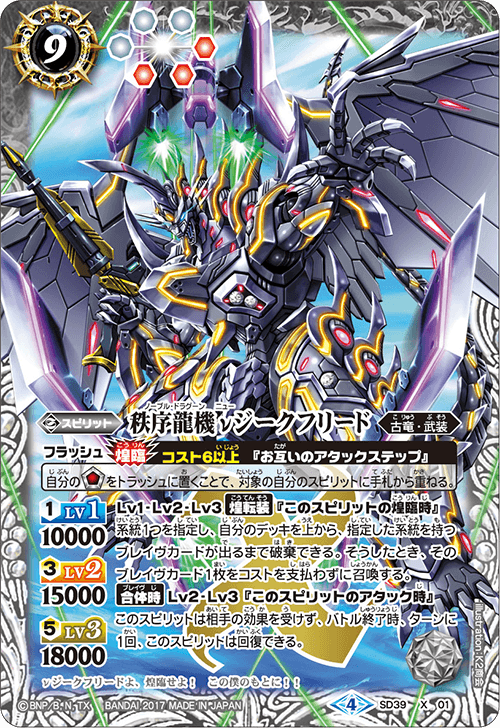 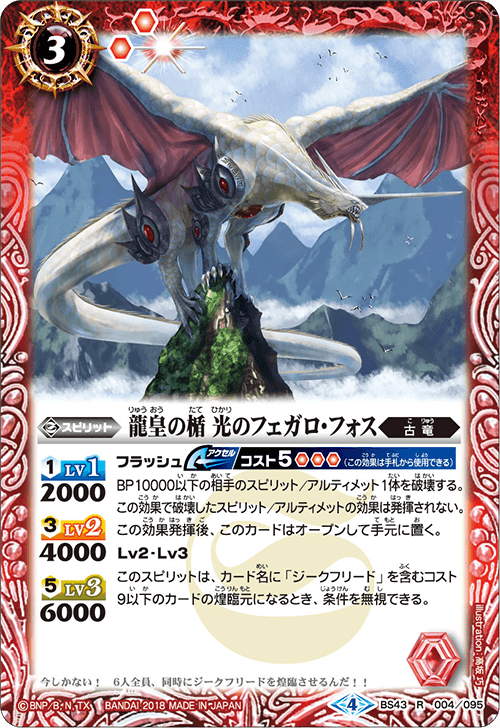 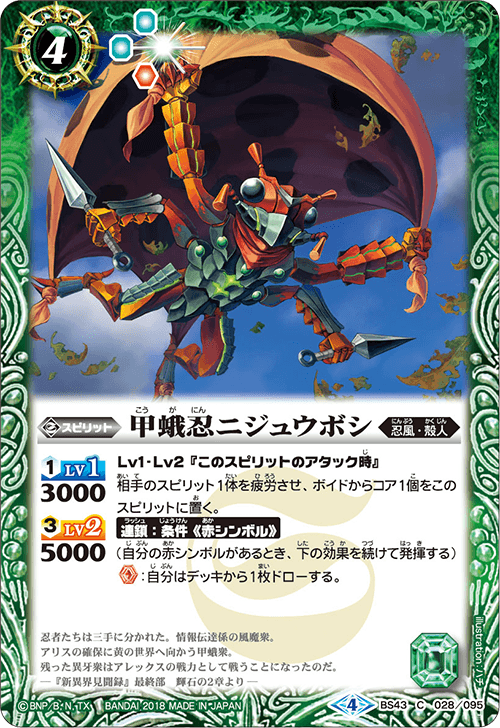 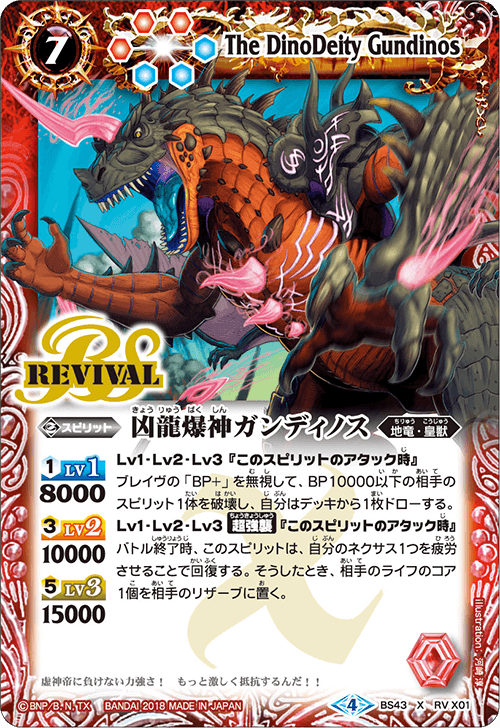 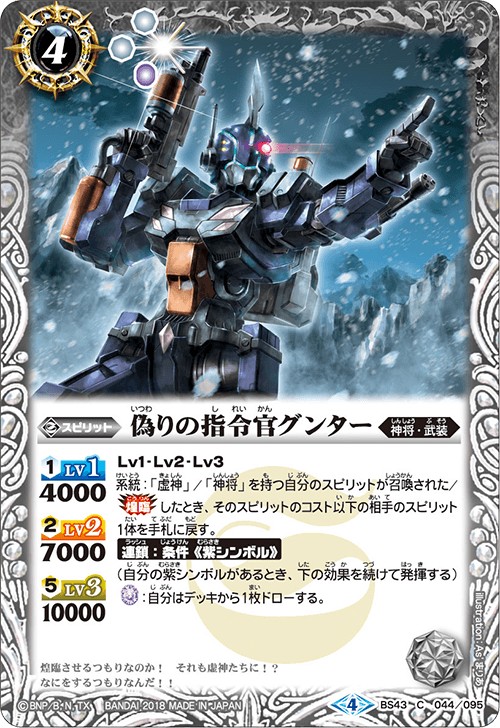 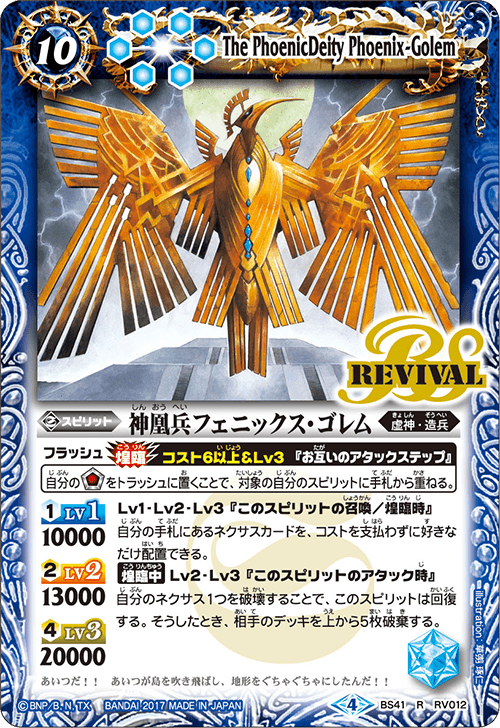 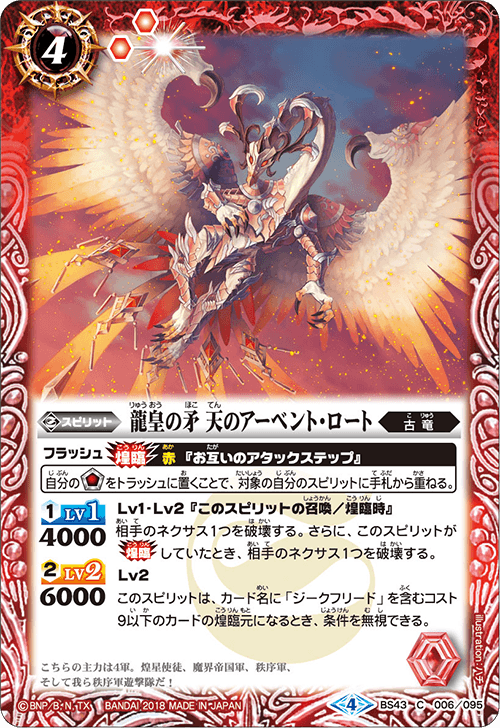 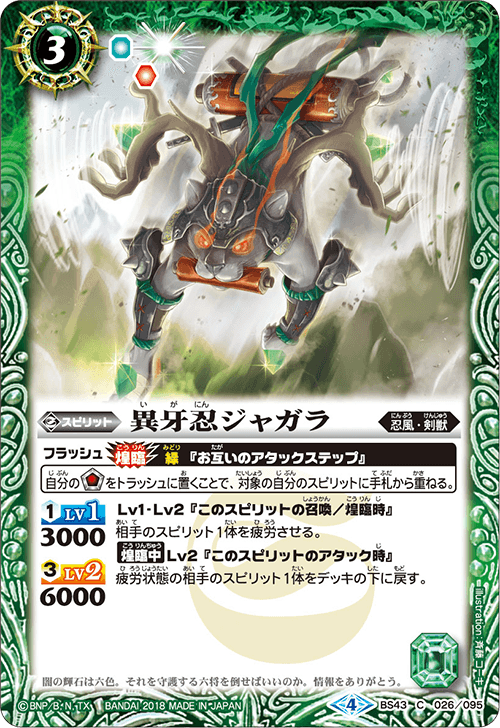 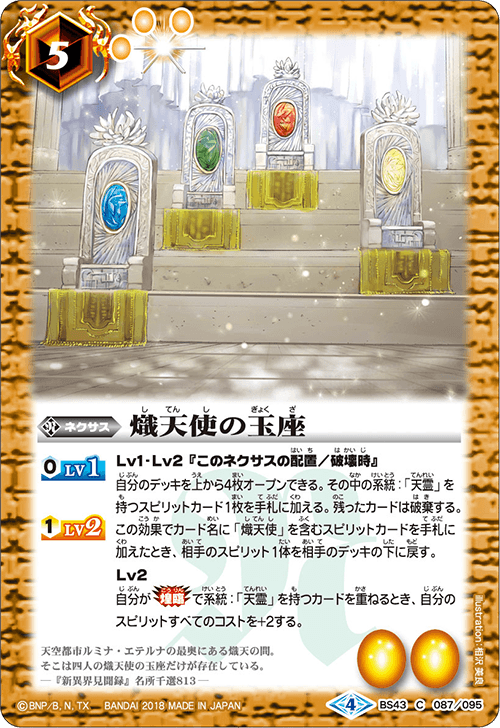 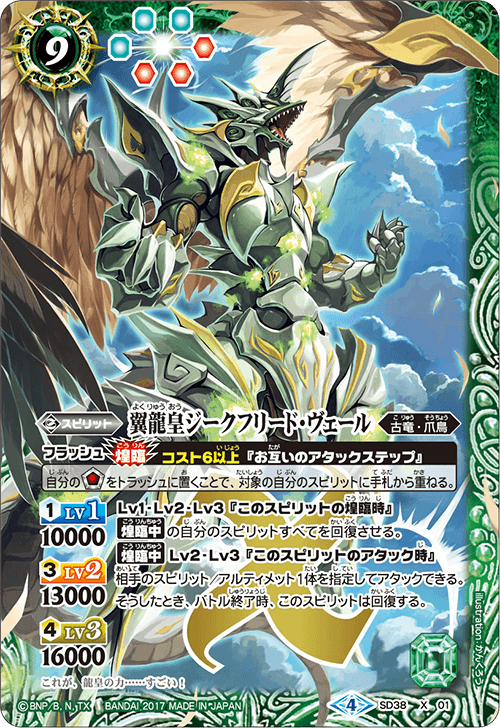 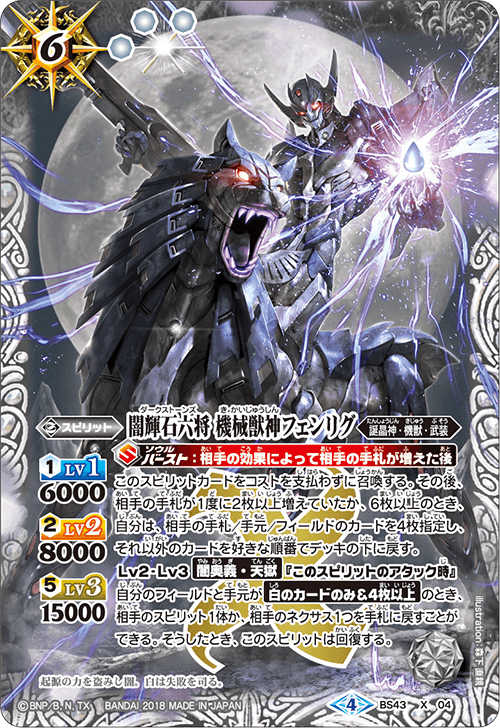 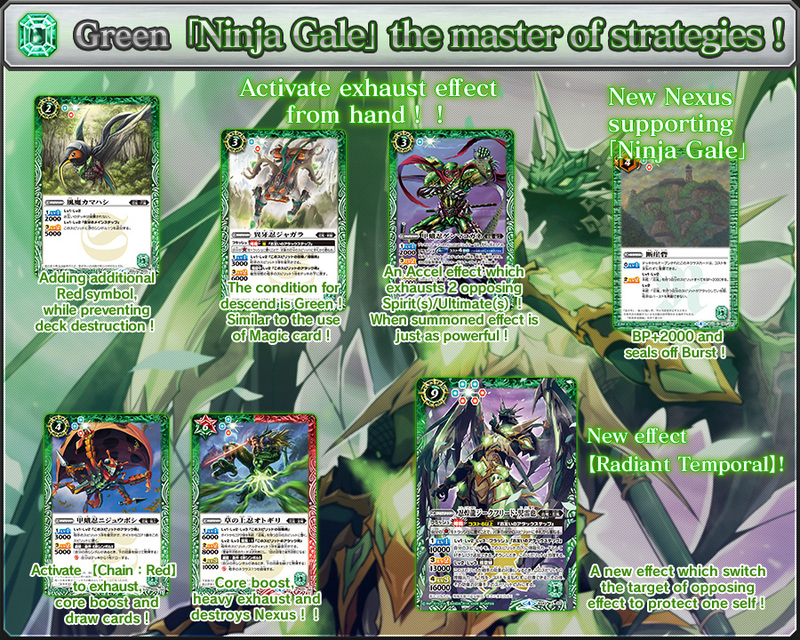 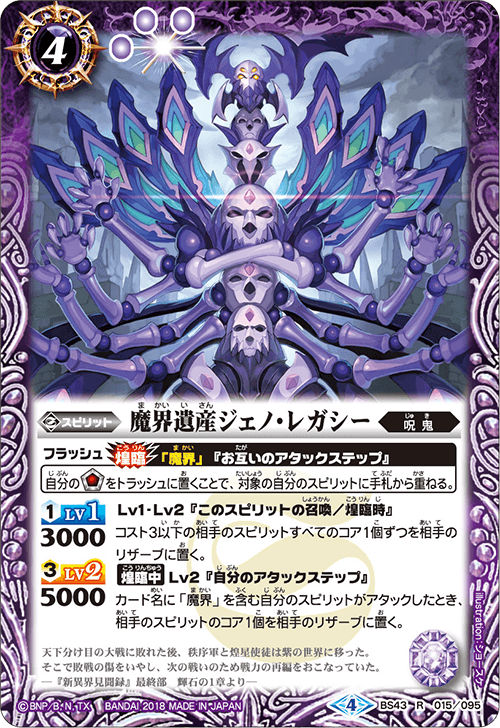 X Rare 「Fenrik, The Dark Stone's Machine Beast God」 has 3 families，together with each supporting families, there are many possible strategies. 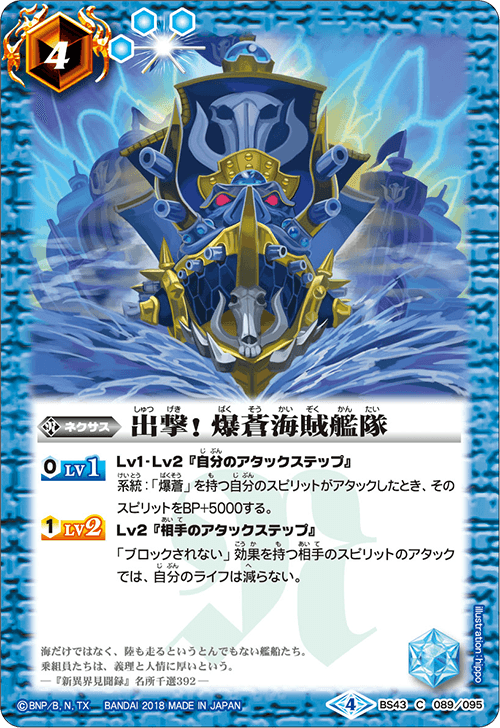 With a powerful 【Soul Burst】，the timing to activate it is important. 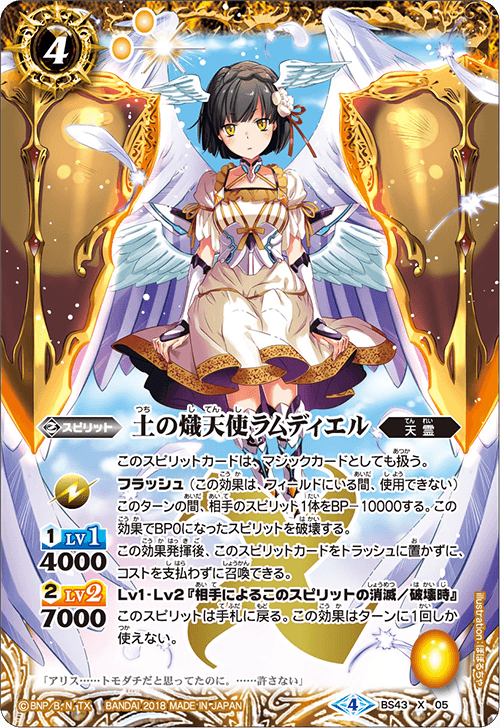 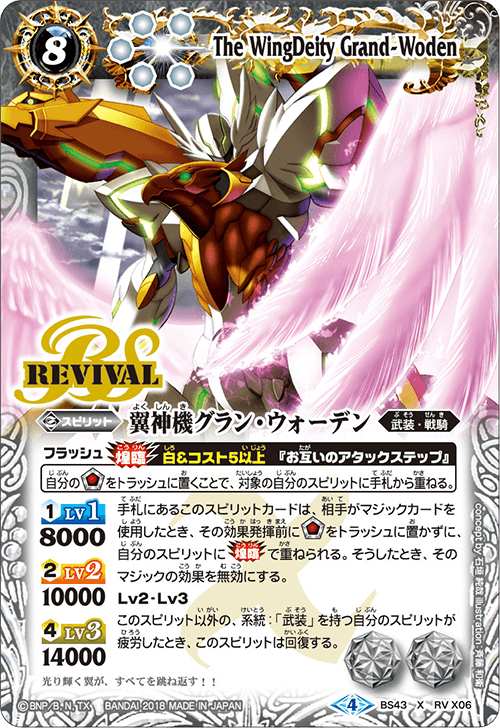 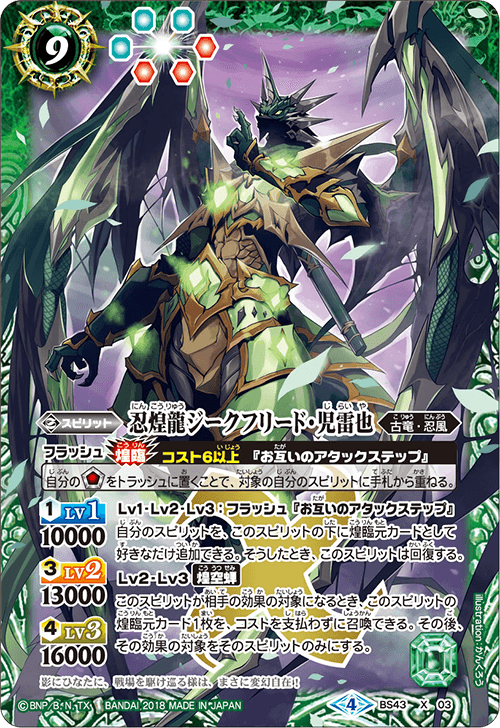 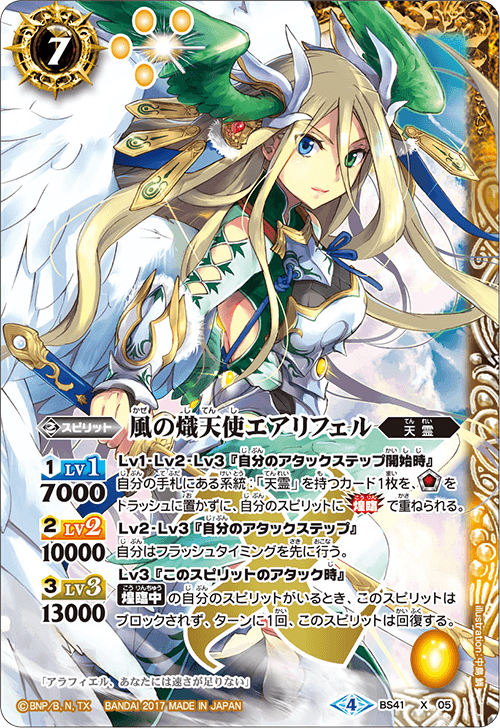 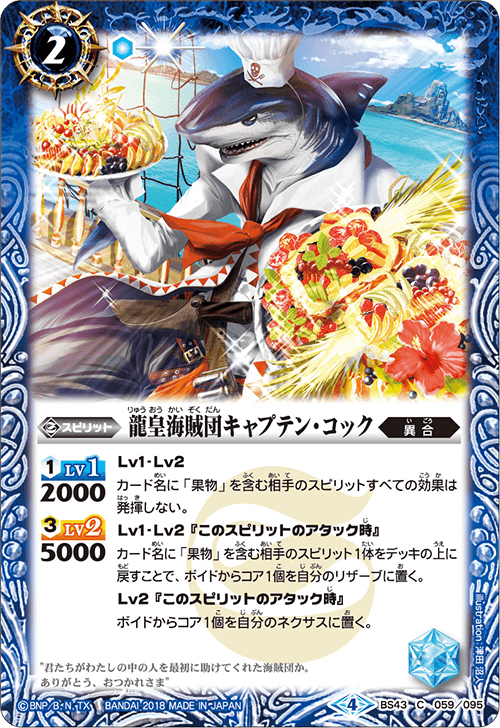 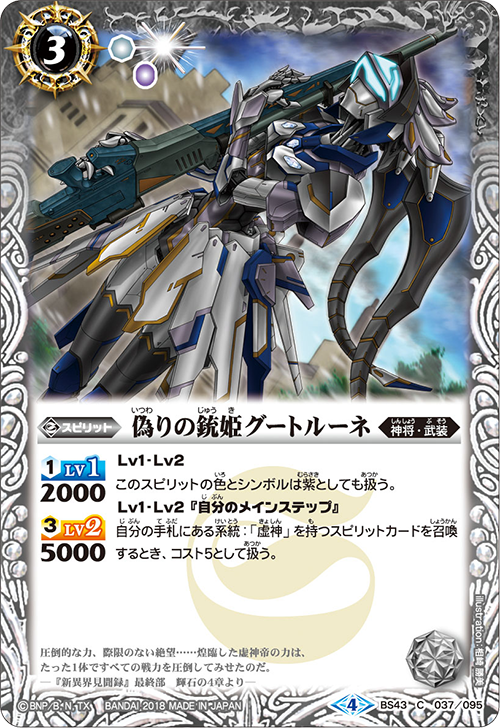 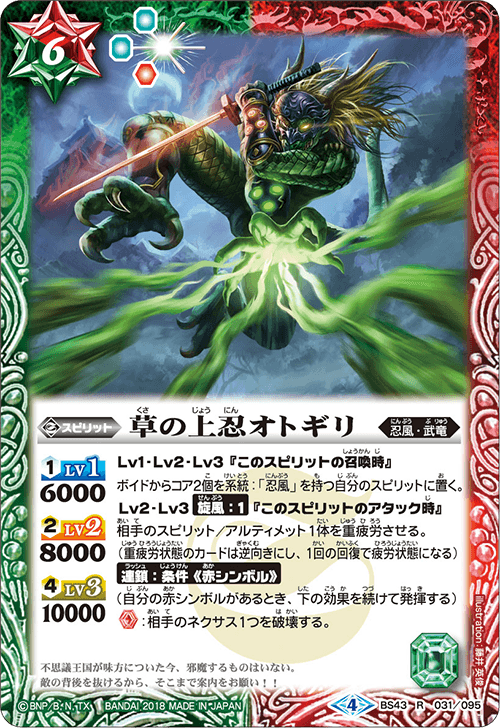 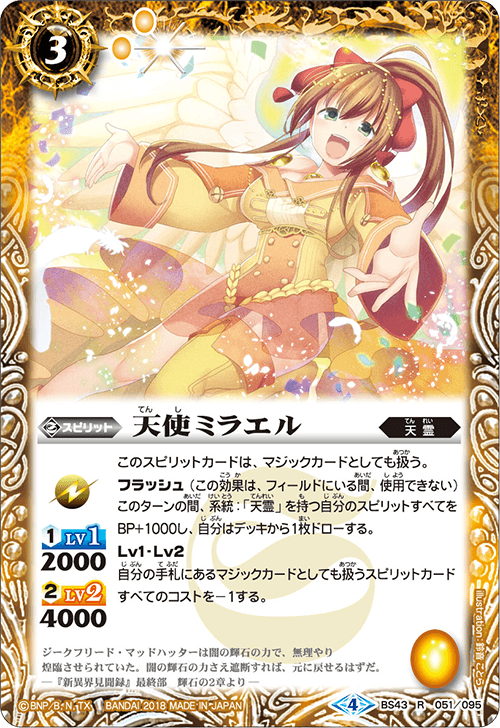 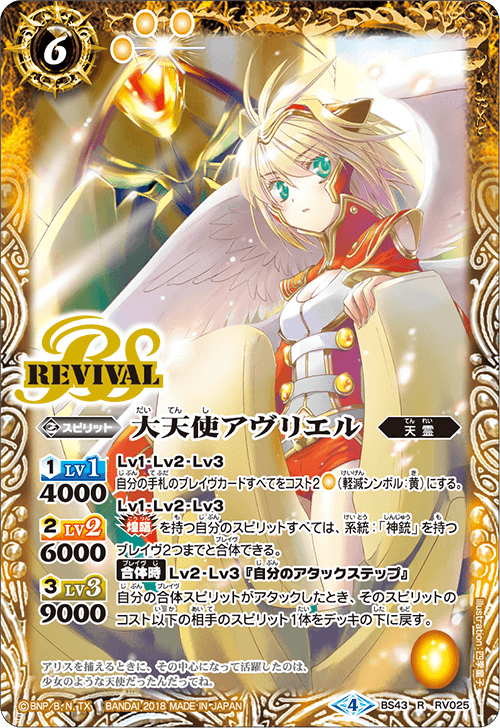 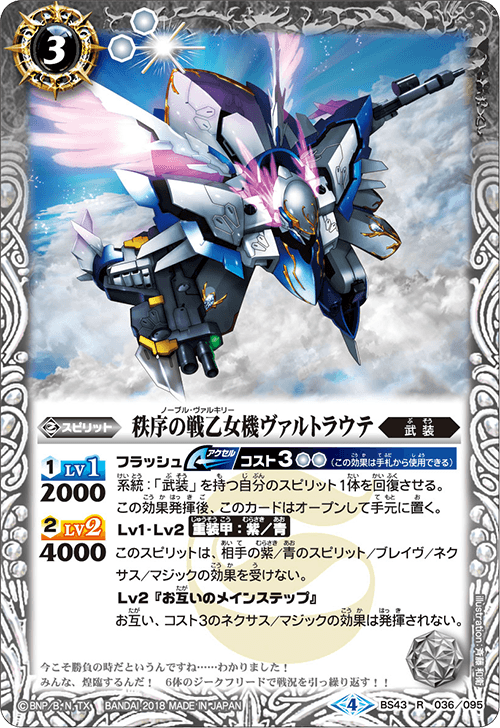 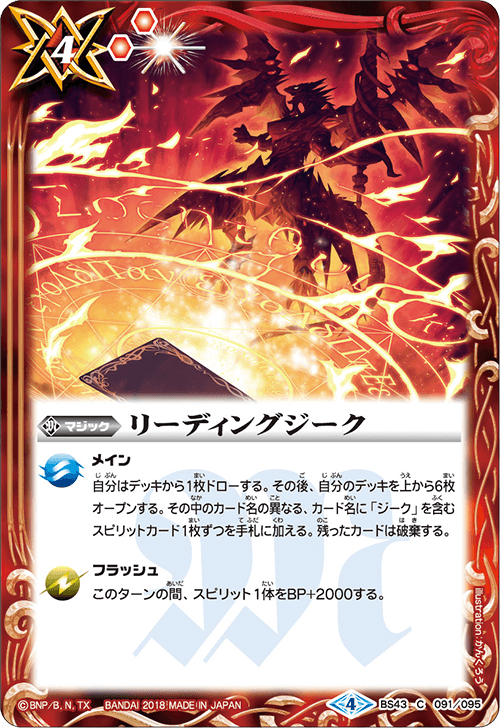 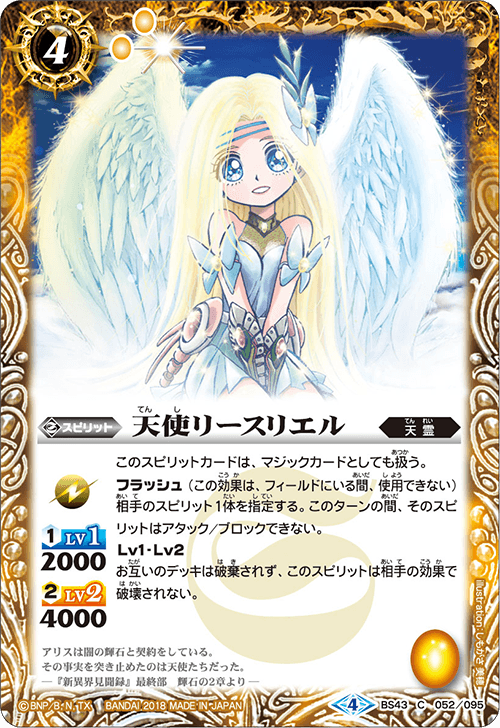 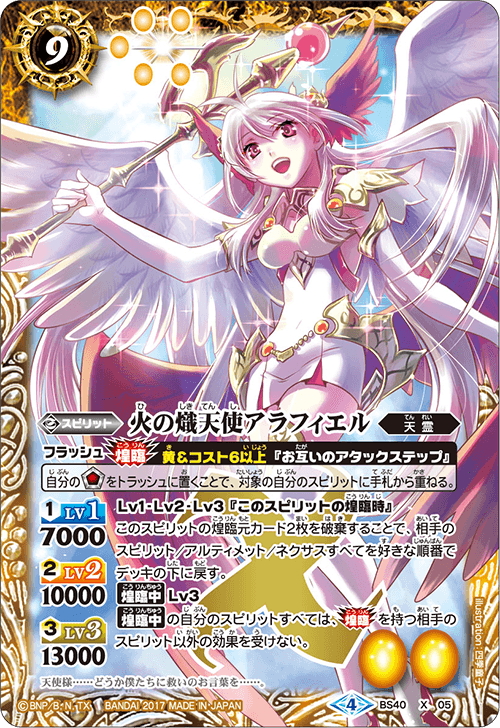 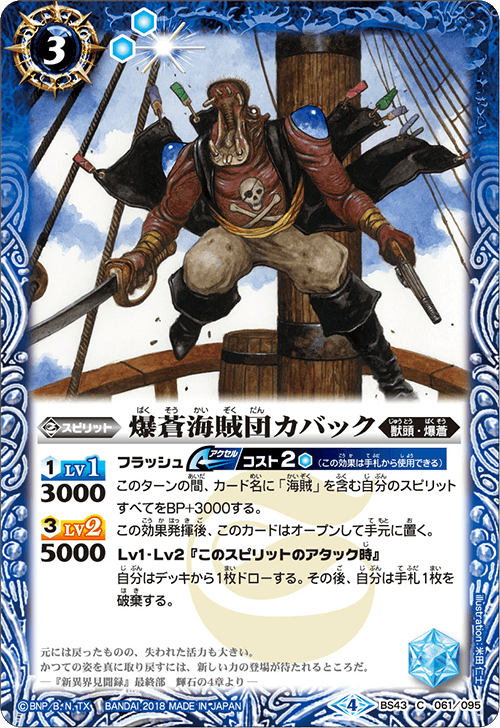 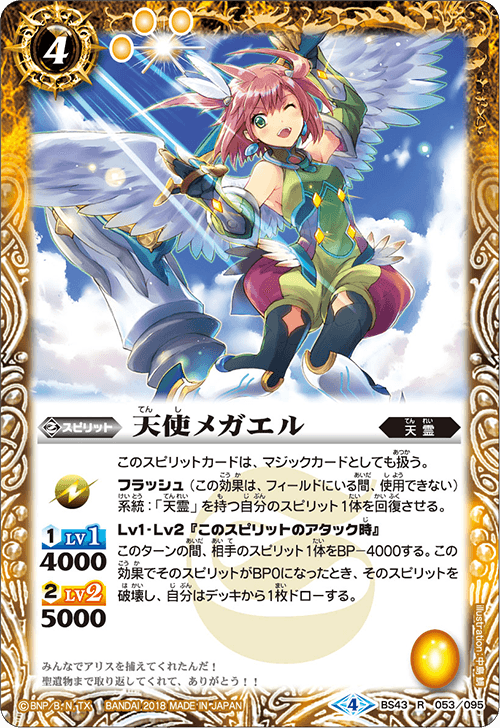 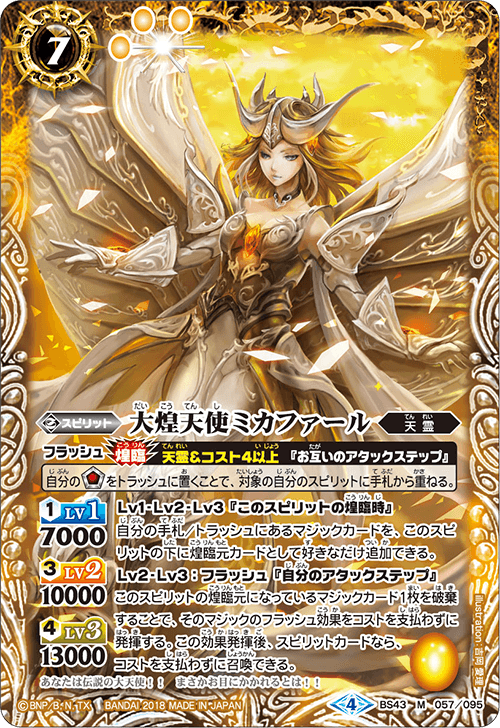 「The Arc Radiant Angelia, Mikafar」 allows you to discard 1 base Magic card to activate that Magic's flash effect without paying the cost. 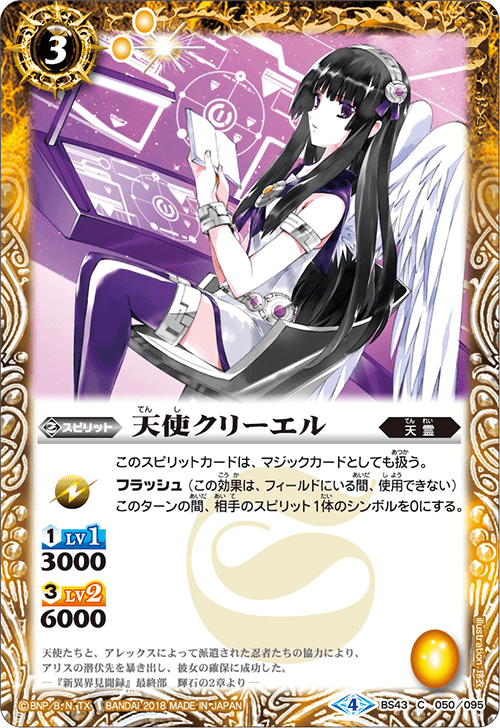 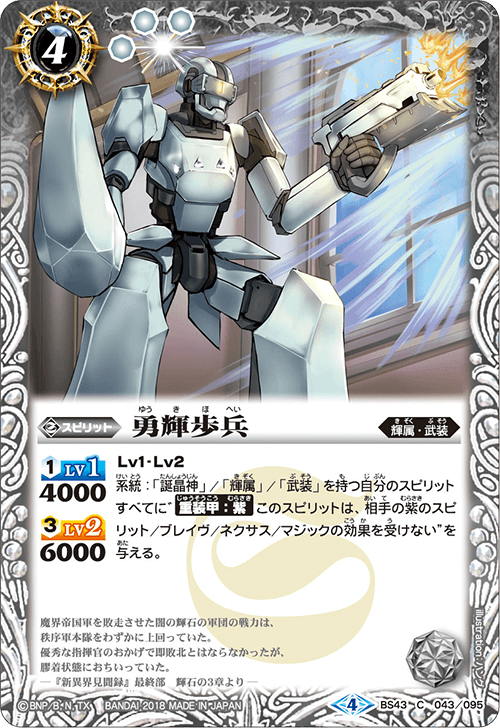 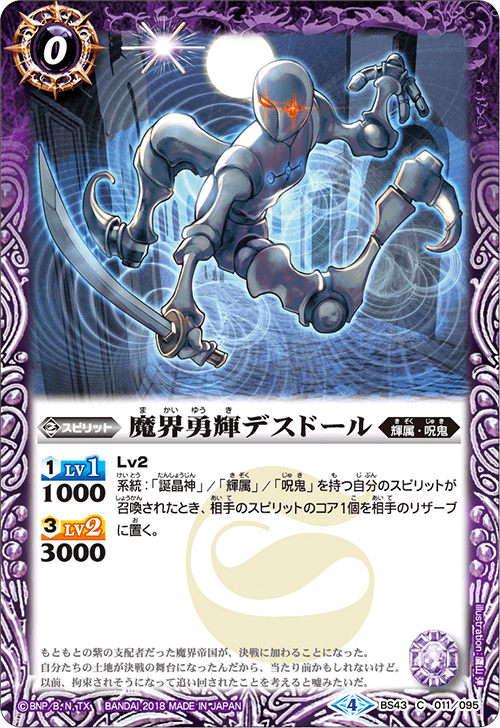 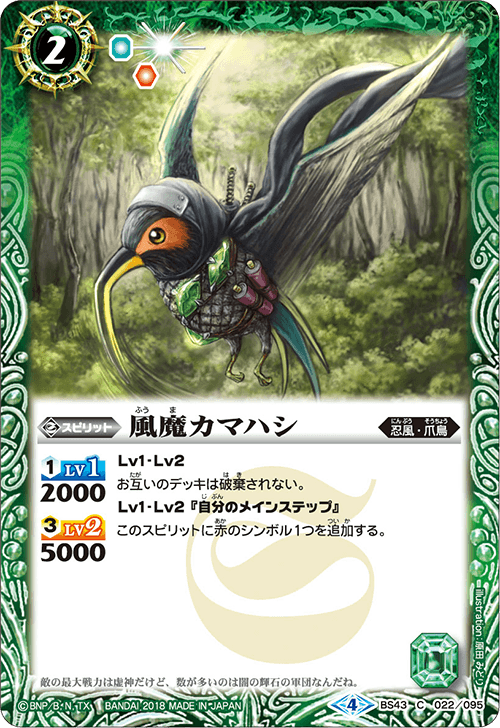 After the effect resolves, if it is a Spirit card, you can summon it without paying the cost. 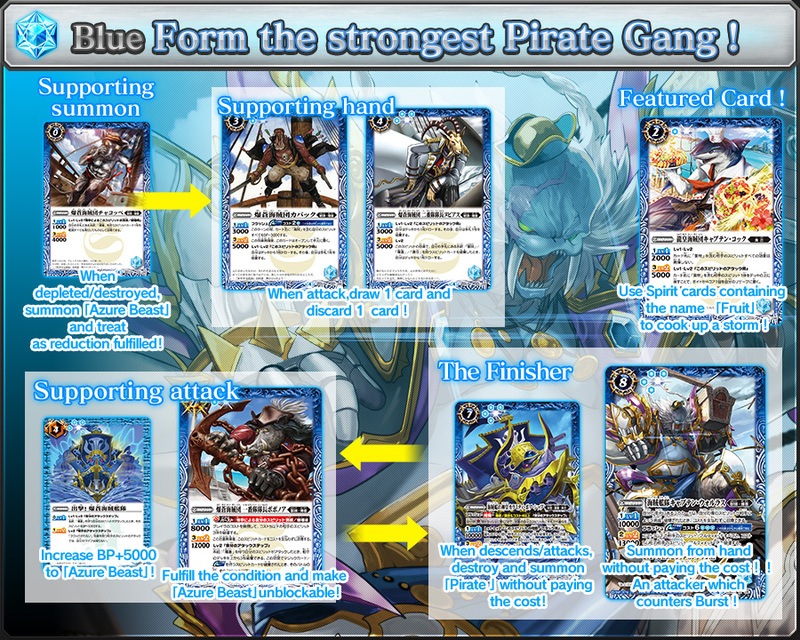 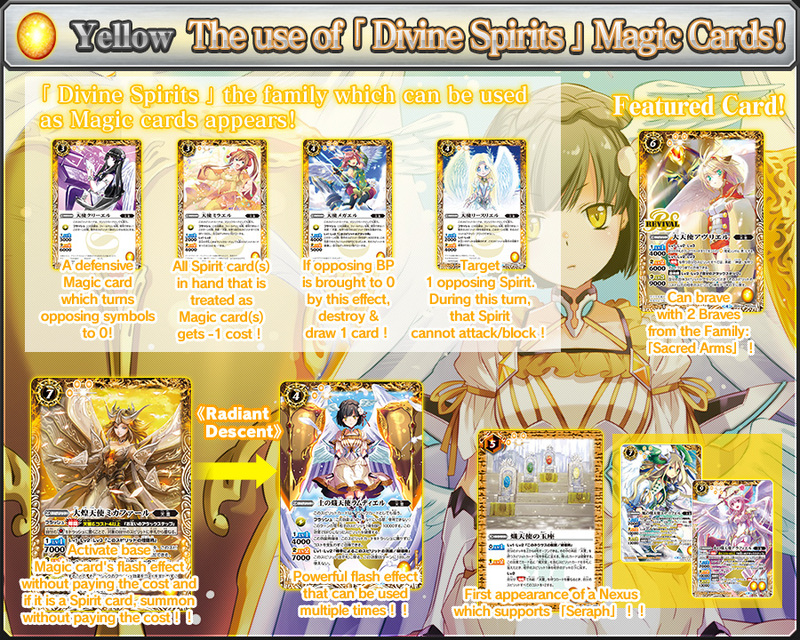 Use low cost Spirit cards as support and use high cost cards as finisher. 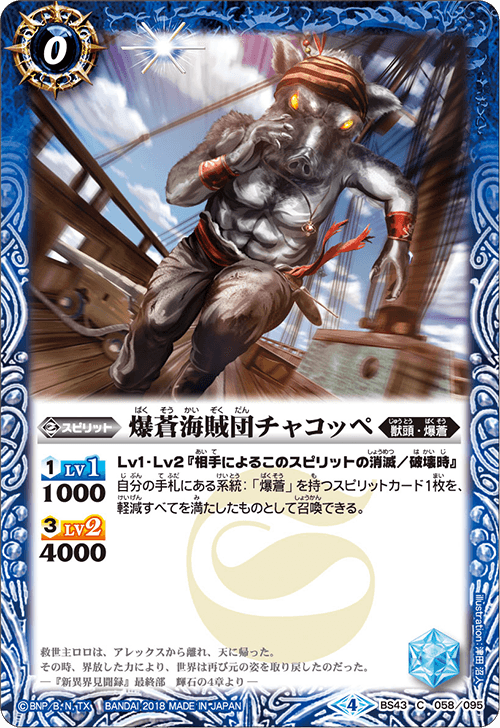 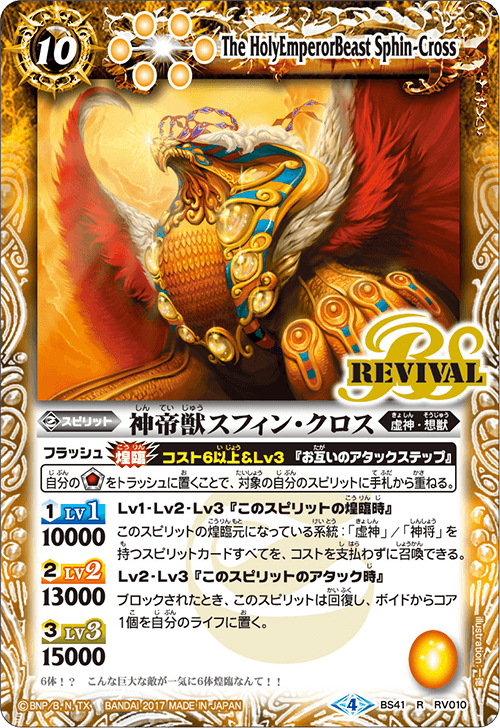 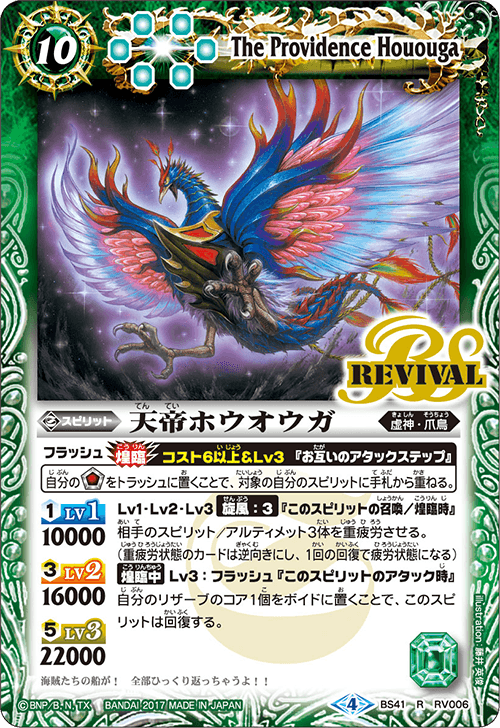 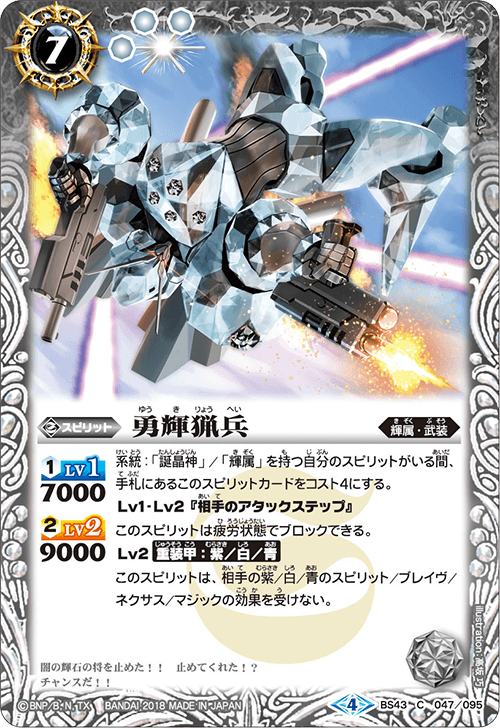 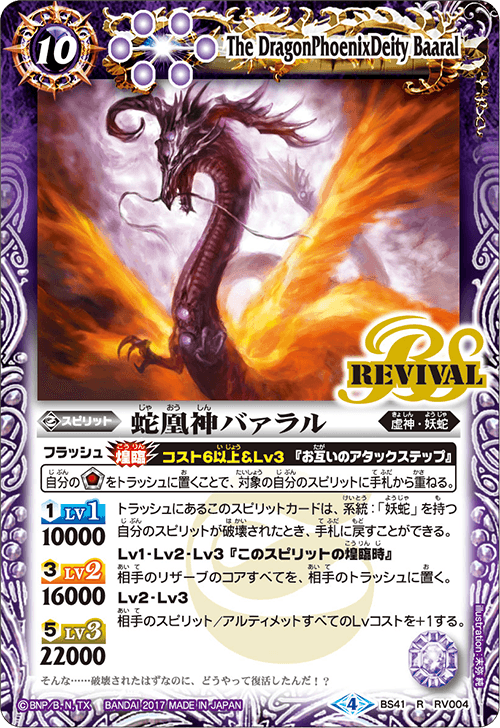 More importantly is the use of 《Radiant Descent》 and other effects to ease things up. 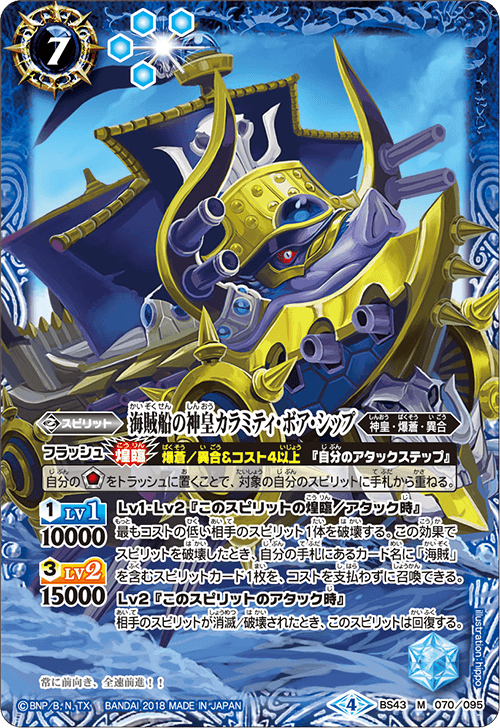 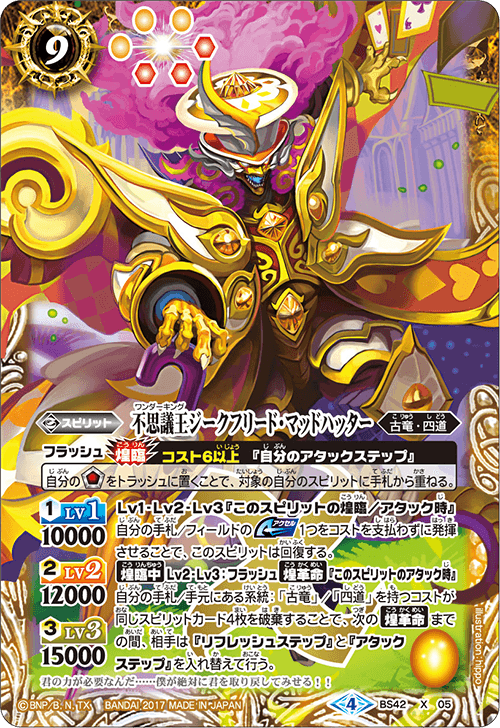 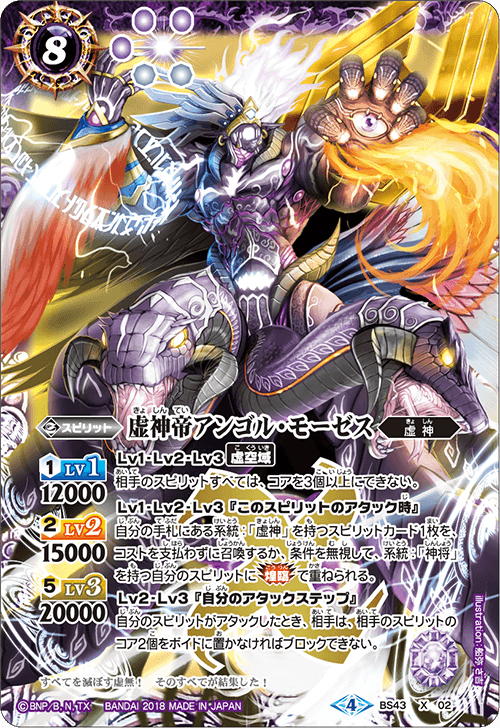 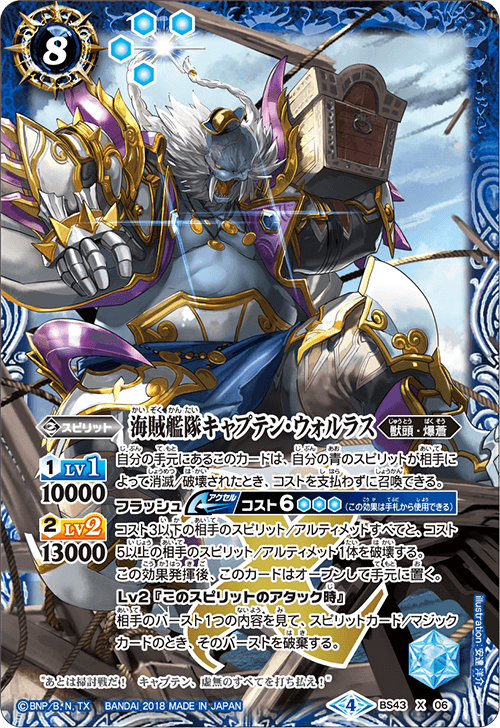 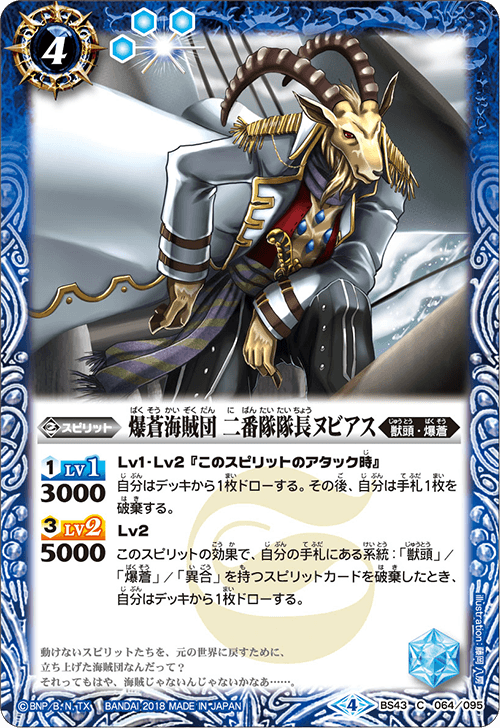 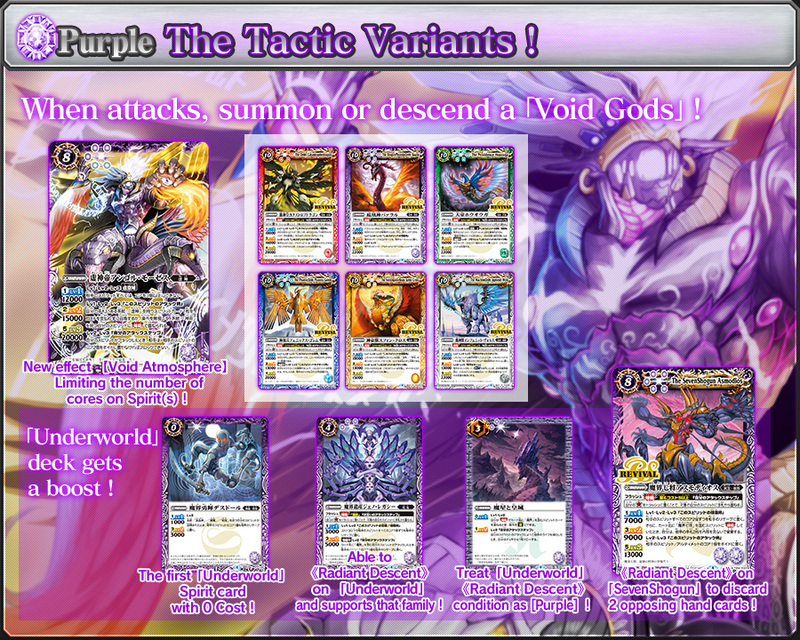 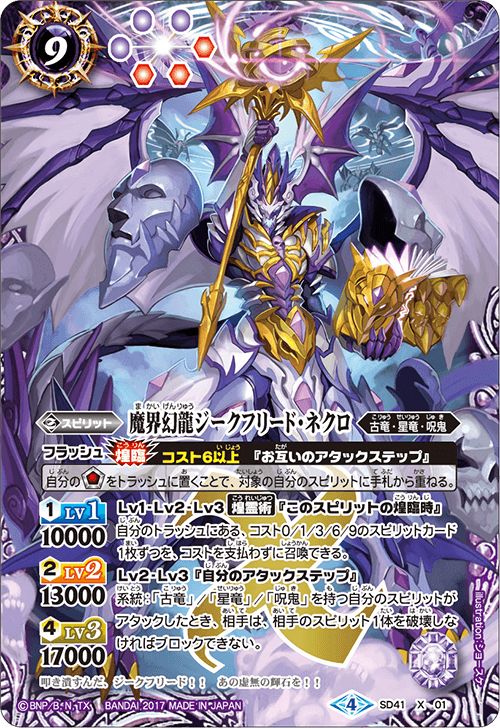 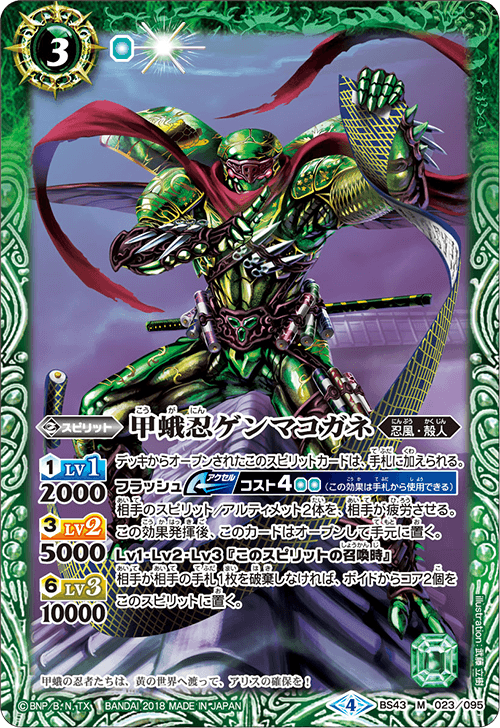 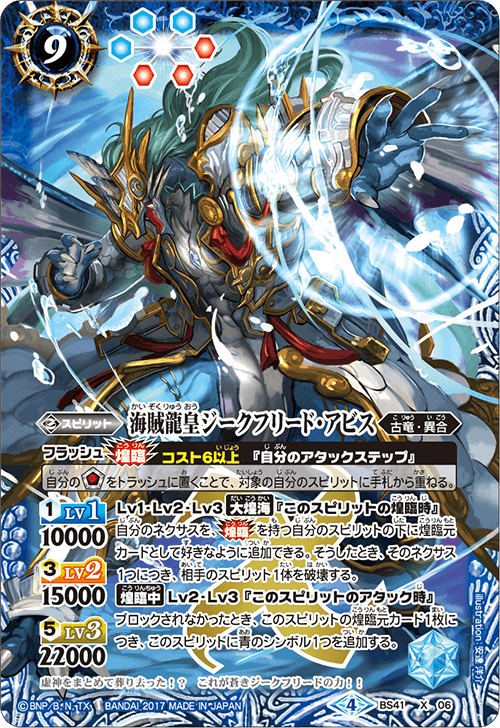 Known for his evil effect -「Emperor of the Void Gods, Angol Moses」.